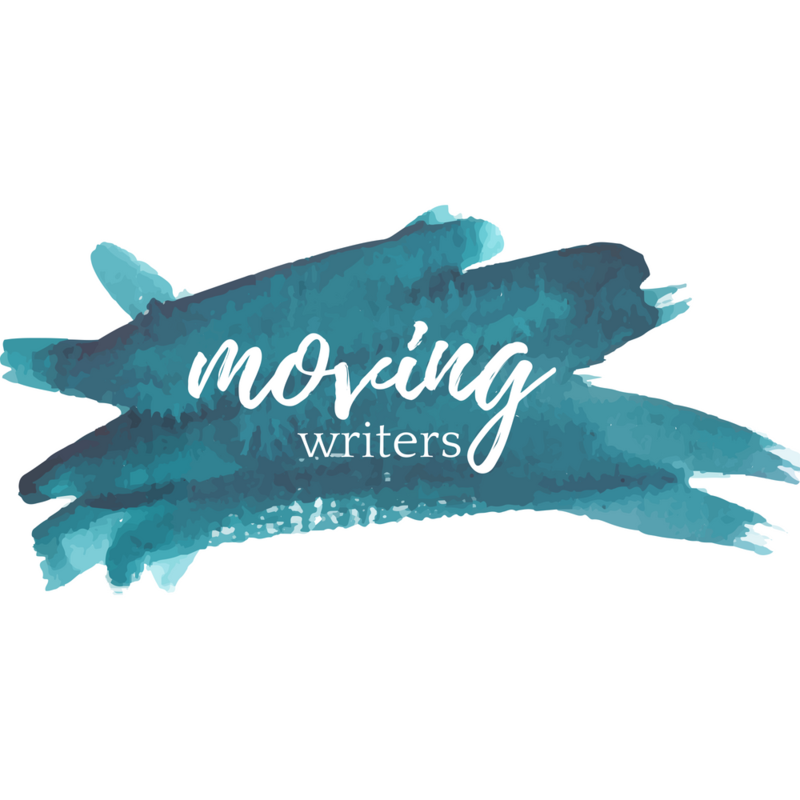 What a happy, exciting day it is here at Moving Writers! We’d like to introduce you to our friend and newest regular writer, Stefanie Jochman. Like so many great relationships of our day, we met Stefanie on Twitter. The connection was immediate. She’s a gifted writing teacher, an experimenter, an innovator, and we are thrilled to have her join our team. Here is the first part of her first post – a study of podcasting that has me so excited that I am going to try to replicate it in my classroom immediately! Help us welcome Stefanie by leaving her a comment below or sending her a Tweet @MsJochman. The walks I take around my apartment complex are my best opportunities to think, and, embarrassingly often, I can’t keep those thoughts inside. Take, for example, one “eureka!” moment on a spring afternoon: as I rounded a familiar corner near some retirement condos, I whisper-shouted “YES!” and threw my hands up in the air. There I was again, that eccentric neighbor in her giant St. Norbert College sweatshirt, talking to herself. The catalyst for my excitement was a discussion of the Matt Damon sci-fi film Elysium and director Neill Blomkamp’s earlier film, District 9, on NPR’s Pop Culture Happy Hour podcast. As Linda Holmes, the podcast’s moderator, and other panelists dissected Blomkamp’s films, they analyzed the effect of artistic choices, demonstrated knowledge and understanding of an artist’s work, and used the language of the artist’s genre to explain their thinking; in short, the Pop Culture Happy Hour team was conducting its own IB English Individual Oral Commentary (IOC) discussion. The Individual Oral Commentary and Discussion is one of four official assessments in the IB literature curriculum. For the first part of this twenty-minute, recorded assessment, students must deliver an oral analysis of a poem; for the second half, the student and teacher discuss a prose work studied during one semester. Since seeing Allison and Rebekah’s presentation at NCTE 2014, I was hungry for opportunities to link my students’ work in the classroom to the real world. Aside from listening to students’ recorded practices with partners, I hadn’t figured out a way to authentically assess the skills students would need for the discussion portion of the IOC, and I was dissatisfied by the way those practices stayed stuck inside the vacuum of the discipline. The conversations students had in those practices belonged only in my classroom. Cue my “eureka” moment: Pop Culture Happy Hour could be a mentor “text” for the IOC, and students could create their own podcasts to practice their literary discussion skills! Before our study began, I created a homepage for our novel study on Haiku, my school’s digital learning platform. I used the homepage to collect the mentor texts for the unit–podcast episodes with style, content, or approach that demonstrated the “moves” students would need for their own podcasts and the IOC. I also used this hub to share information about podcasting technology. I consulted a number of helpful teacher technology blogs to create a list of free podcasting resources as well as my simple technological requirements. This project was the first podcasting experience for many of us, myself included, so we learned about the technology together. The added technical component of this project was a wonderful opportunity for students to share skills and knowledge they normally wouldn’t demonstrate in an English class. I think students appreciated my honest (and sometimes fumbling) first attempts at using Audacity and Garage Band, and I really appreciated their willingness to help each other learn about new technology. As you can see from the screenshot below, my list of mentor podcasts for this first attempt at a new project was short; I stuck to podcasts that were familiar to me and episodes I had already listened to (much like I would pre-screen a movie before showing it in class), but I encouraged students to consider their own favorite podcasts as mentor texts as well. All three recommended podcasts excel at articulating nuances in literature, music, film, or television in clear, engaging ways that students can and should to emulate. Early in the unit, I showed students where to find the links to the podcasts, made sure everyone understood how to download the podcasts for themselves, and encouraged students to start listening for ideas. In addition to links to specific episodes, I also linked students to the podcasts’ homepages or iTunes pages so they could explore the back catalogue of episodes and listen to podcasts about topics that interested them. Since we had used mentor texts for writing mini-lessons and a pastiche assignment earlier in the semester, students understood that they should be listening for the mentor texts’ “moves” and noting their observations about the podcasts’ structure and language as they listened. Though I provided students with my own outlines of Pop Culture Happy Hour and Switched on Pop episodes to acquaint them with the podcasts’ structures (another “Eureka!” walk left me with lots of extra energy–I had to hold myself back from making a Pop Culture Happy Hour Prezi), I relied on students to make their own list of mentor text “noticings” this time around. However, I think that I will block out a class period for sharing those noticings next year and thus hold students more accountable for their mentor text study. Ready for podcasts but not a podcast project? Use podcasts as models for literary analysis or argumentative writing. Listen to a segment or episode together in class (or “flip” the assignment and ask students to listen at home); determine how the panel introduces the topic, what each panelist’s perspective is, and what specific evidence the panelists use to support their ideas. Use topics from your favorite podcasts as notebook time prompts. The sample episode of Switched on Pop I shared with students started with one host asking why certain songs are perfect for wedding playlists. Ask students to make a list of their top 10 tracks for prom or homecoming and explain why! Pop Culture Happy Hour’s second segment often explores pop culture preferences and trends like “What pop culture tropes are guaranteed to make you cry?” or “When is it okay to ‘quit’ a book or a show?” I’d love to hear what students would say if they were in the studio with Linda Holmes and company! Listen to podcasts for writing advice from the experts. One of my favorite episodes of Pop Culture Happy Hour this year was a special “Small Batch” episode featuring an interview with J.K. Rowling about her newest Robert Galbraith mystery. The interview is a 20-minute master class in genre, gender, and craft (probably best for older high school audiences). Other shows like Fresh Air or even The Nerdist Podcast offer fascinating interviews with artists from which writing advice can be gleaned (be sure to preview the episodes first). Gather a collection of craft podcasts that can be shared as supplemental (or flipped!) craft lessons for specific writing activities. Use podcast formats as mentor texts for writing assignments. One scroll through the list of most popular podcasts on iTunes demonstrates just how varied and innovative podcasts can be. Use the premise of a favorite podcast as a new approach to a writing task. When I told my colleagues about my podcasting project, a math teacher recommended one of his favorites, The Dinner Party Download, a podcast intended to help listeners develop new anecdotes (and new recipes) for their next dinner party. Students could just as easily write (or present live) their own segments for The Slumber Party Download, The Thanksgiving Dinner Download, or (since I live in Packer country) The Tailgate Download. On Wednesday, I’ll share what happened as students got down to work, began crafting their own podcasts using free software, how I assessed them (and had students assess one another! ), and I’ll even let you listen to three of the amazing products created in my class. What questions are bubbling up for you? Have you tried podcasting as a writing study? What happened in your class? Leave Stefanie a comment here, connect with us on Facebook, or connect with us on Twitter: @MsJochman, @rebekahodell1, @allisonmarchett. Previous PostHappy New Year from Moving Writers! Next PostPart II — A Podcasting Study! I love this idea and I will share it with my IB teachers. I can’t wait to read how things turn out in class so I can try it myself. Thank you! Thank you so much for this post! I teach IB English and actually attempted something similar (not so impressively as you, though) last year. My students ended up listening to several persuasive podcasts and wrote and recorded their own podcast on a persuasive topic. The second podcast I had them do was not scripted, but a literary discussion. It truly helped students prepare for the IOC, but I never thought of the other options I could use podcasts for in my writing classroom. Thank you so much for the inspiration! I look forward to hearing more about what happened in your classroom on Wednesday!